Indian Coast Guard Ship 'Rajshree', the first of a series of eight Inshore Patrol Vessels (IPVs) being built by M/s Garden Reach Shipbuilders and Engineers, Kolkata was commissioned here today by Vice Admiral MP Muralidharan, AVSM, NM, Director General Indian Coast Guard, in presence of Inspector General SP Sharma, PTM, TM, Commander, Coast Guard Region (East) and other senior dignitaries of the Central and State Govt. The 50m long indigenous IPV displaces 300 tonnes and can achieve a maximum speed of 34 knots, with an endurance of 1500 nautical miles at economical speed of 16 knots. Equipped with state-of-the-art weaponry and advanced communication and navigational equipment, it makes an ideal platform for undertaking multifarious close-coast missions such as surveillance, interdiction, Search and Rescue, and medical evacuation. The special features of the ship include an Integrated Bridge Management System (IBMS), Integrated Machinery Control System (IMCS) and an integrated gun mount with indigenous Fire Control system (FCS). In his address during the commissioning ceremony, Vice Admiral Muralidharan dwelt upon the criticality of capacity building towards tackling emergent maritime challenges. He reiterated the need for continuous vigil along the nation’s maritime frontiers to preserve and protect our maritime interests. 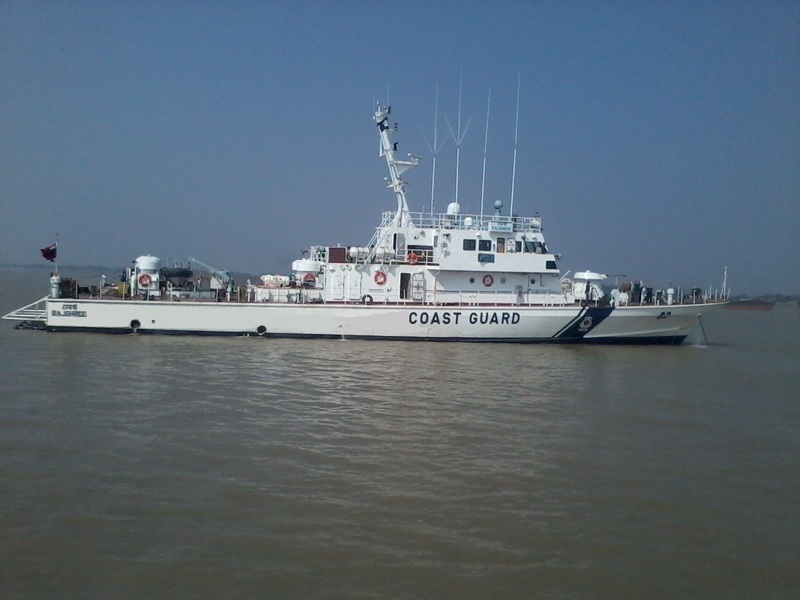 He further stated that several far-reaching initiatives towards augmentation of manpower and force levels were underway that would provide the requisite fillip to the Coast Guard’s capabilities. The ship is commanded by Commandant Pankaj Verma and has a complement by five Officers and 30 Other Ranks. 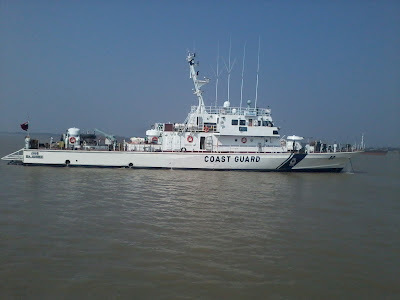 Post commissioning, ICGS Rajshree would be based at Chennai under the administrative and operational control of the Commander, Coast Guard Region (East). project 28 in the background of the first pic. project 28 in the background of the first picture.